In France, the Director-General of Buildings under Louis XVI, Count Charles-Claude d'Angiviller, as soon as he took office in 1774, issued a letter to the director of the Academy declaring that from the governments perspective, art's highest aim should be to promote virtue and to combat vice. In order to achieve this he proposed to commission historical paintings with a strong moral impact. 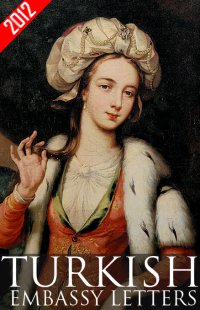 Mrs Siddons was at the height of her career when Reynolds painted this portrait. 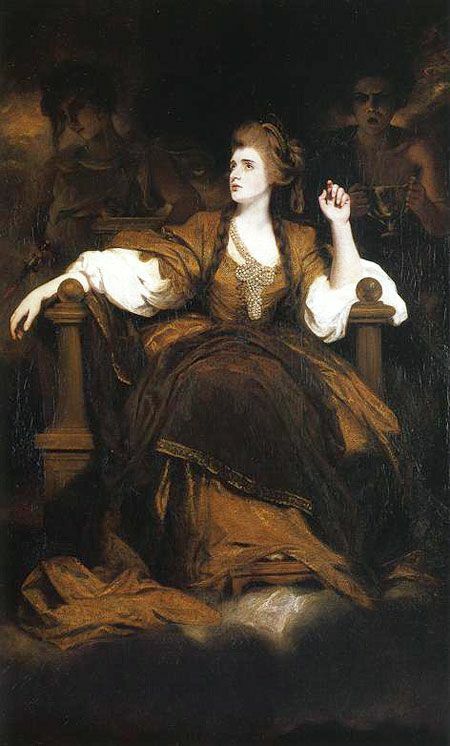 In Greek Mythology every art had a corresponding muse or a goddess that inspired the artist and Reynolds must have found representing Mrs Siddons as the tragic muse, most appropriate. There is a story that when she came into his studio Reynolds took her hand and led her to the chair uttering the words "Ascend your undisputed throne; bestow on me some idea of the tragic muse." At which time she immediately sat and assumed the attitude in which she was painted.2 The pose is reminiscent of Michelangelo's depiction of one of the prophets on the Sistine Chapel. Reynolds has depicted a fair Mrs Siddons, as a luminescent muse, amongst the dark shadows where the allegorical figures of Terror and Pity hover behind her. He has elevated her station by placing her on such a large scale painting, sitting on a throne with a little stool underneath her feet. The way one arm rests and the other is held with no effort adds to the sense of nobility. The scale of the painting and the subject matter of an allegory has made this painting almost on par with history painting. 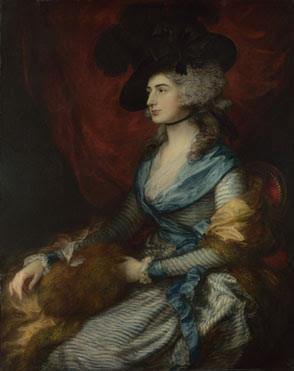 Reynolds' innovations becomes even more pronounced when comparing this painting with Thomas Gainsborough Portrait of Mrs. Sarah Siddons painted in 1785. In the Gainsborough portrait the influence of rococo is very apparent in the soft brush strokes and the finely worked textures and fabrics of her clothing. This is the perfect likeness of a well-bred woman with an averted gaze sitting with her powdered hair, in silks and furs placed at the very front of the canvas. While Gainsborough displays his sensuous brushwork in this painting in the rococo style, Reynolds, by concentrating on what he calls a "nobleness of conception" and "dignifying his figure with intellectual grandeur," has created a portrait akin to the grand history paintings that were beginning to be produced in France.